KOJO&LEE is a one-of-a-kind salon experience. 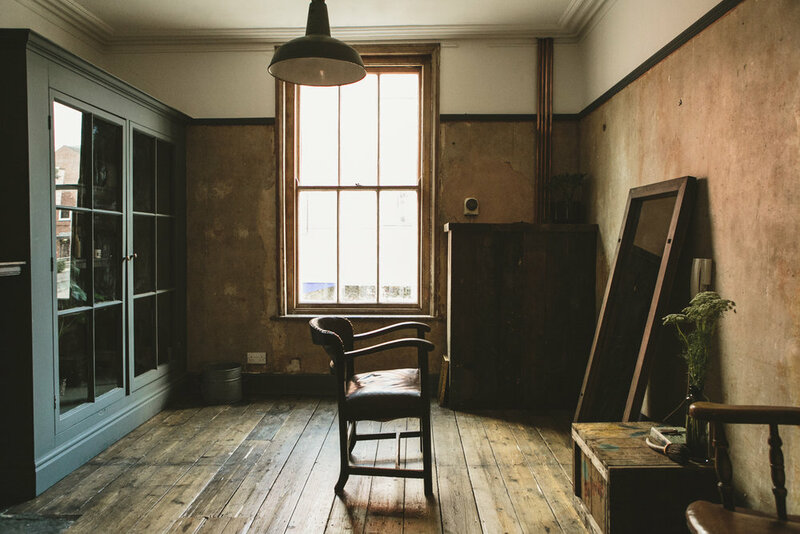 Tucked away within the top two floors of a beautiful listed building on Devonshire Street, in the heart of Sheffield. Entering through a discreet door and away from the hustle and bustle of the busy street, you head down a dimly lit corridor, straight up the old stairs into gorgeous, warm inviting rooms filled with beautiful light; a calm and relaxed salon experience. Straight up the old stairs into gorgeous, warm inviting rooms filled with beautiful light; a calm and relaxed salon experience. Each hair stylist has their own private room, to create a completely personal visit, just for you. KOJO&LEE was founded in 2015 by Nikki-lee Hampton. The business, built organically one room at a time throughout the last few years, from one room to eight with a strong team of seven stylists all offering a range of different services. The next chapter for KOJO&LEE launches in November 2018 - a hand curated lifestyle shop with the vision KOJO&LEE has created. The shop opens up with high quality organic haircare and beautiful collaborations with some of our favourite independents. If you’d like to find out more about our stock, or order online click here, you’ll not be disappointed. All our images on this site are by India Hobson.